A SPANISH criminologist claims to have identified a mystery woman sought by British police in connection with Madeleine McCann’s disappearance 10 years ago. The woman was seen dressed in purple standing outside the family’s apartment in Praia da Luz, Portugal when the three-year-old vanished. Heriberto Janosch Gonzalez says the woman – who Scotland Yard detectives have wanted to speak to for the best part of a decade – is former Bulgarian waitress Luisa Todorov. Ms Todorov was 48 and working at the Ocean Club resort alongside her husband when Maddie disappeared on the night of May 3, 2007. She and her husband Stefan, 50, gave statements to police five days later but were unable to be tracked down thereafter. The couple denied any knowledge of the case but were never seen again, according to Mr Gonzalez. The criminologist – who has investigated the disappearance since 2007 – said reports that Scotland Yard detectives had travelled to Bulgaria convinced him that Ms Todorov was the ‘woman in purple’. “Examining all the known statements it seems highly likely the police are seeking the Todorovs," he told the Mirror. Mr Gonzalez explained that he hadn’t been able to track down the couple in Portugal. They may have moved back to Bulgaria after a number of Ocean Club workers were made redundant, he said. He added: “I have been combing through all the police files trying to identify who the woman in purple could be. “It has been widely reported that Yard officers are in Bulgaria. Madeleine McCann vanished from her family’s holiday apartment in Praia da Luz while parents Kate and Gerry were dining in a tapas restaurant nearby. Operation Grange was set up by Scotland Yard in 2011 after Portuguese police were criticised over their “shoddy” investigation. No one has ever been arrested despite 60 people of interest being identified, 1,300 witness statements taken and almost 9,000 reported sightings of Maddie around the world since 2007. Operation Grange was scaled back in October 2015 before it received another £154,000 in Home Office funding two months ago. 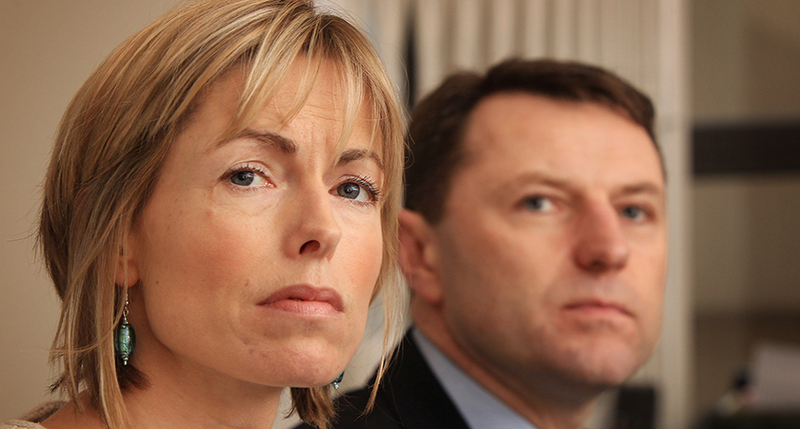 “It might not be as quick as we want but there’s real progress being made,” Kate McCann said in September.